WordPress Hosting | WPhost | Blazing fast WordPress hosting on VPS! New Zealand’s only dedicated managed WordPress host exclusively offering VPS hosting. Keep your site secure and switch to HTTPS with any WordPress hosting plan. No code needed! We’re huge fans of WordPress. So much so, that all we do is WordPress and we’ve made it a point to know it inside and out. That’s why our servers are hand-tuned for optimal WordPress performance. 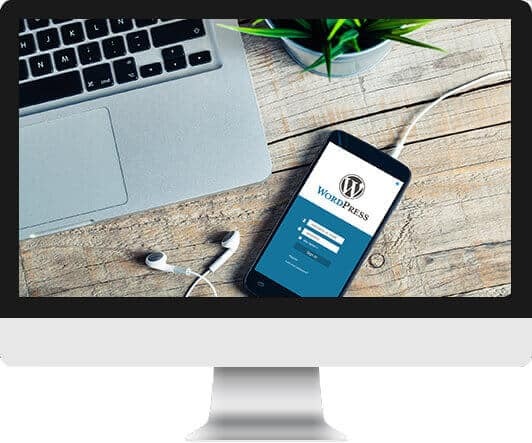 Our WordPress VPS hosting comes with blazing fast load times, top-notch WordPress-specific security, 100% free SSL certificates, a free Elegant WordPress theme of your choice, nightly backups and an awesome local support team of WordPress experts. Our exclusive focus on WordPress means you’ll always have the best team of WordPress support at your disposal. We will migrate your WordPress website for free..
We will provide top-notch WordPress security and malware protection. We will add a free SSL certificate to your site. We will provide you with lightning fast WordPress speed..
We will backup your WordPress site every night. We will take care of all WordPress core updates for you so you don’t have to worry! We will customise your VPS hosting server for WordPress. WPhost is built on a foundation of rock-solid hosting that handles all of the technical aspects of running a site. With our managed WordPress hosting platform, your WordPress updates, security, backups and caching is all taken care of. Get the green padlock! A free SSL Certificate comes standard with every plan. Avoid search engine penalties and warnings on your site with a free SSL Certificate. We're always on top of the latest security vulnerabilities and proactively block threats when we can. We work hard to make sure your sites are safe and secure. Our VPS Servers are hand-tuned for optimal WordPress performance. Plus, we configure server side caching, so your site is always super speedy. You can sleep well at night knowing your important sites are backed up off-site. Don't worry about backup plugins or manual restores - we've got you covered! Ready to switch hosts? Sit back and relax knowing we'll take care of the transfer. No matter how many sites you have, we'll migrate your WordPress sites for free. Your VPS hosted site gets its own dedicated resources, whereas shared hosting is just that - a shared server, tied to a bunch of other sites. Everything is taken care of for you. Your WordPress updates, security, backups and caching is all taken care of when your site is with WPhost. McAfee SECURE certification increases sales and conversions. Start displaying the McAfee SECURE trustmark to up to 500 visits per month, absolutely free. In the unlikely event that your site is hacked or compromised, our WordPress Experts will remove the malware and fix it for you - for free! We have everything to get you started online. Included with every WordPress Hosting Plan is a free domain name registration or transfer. Starting afresh? No problem - we'll install, configure and optimize a fresh install of WordPress with server-side caching at your domain name for you. Get the ultimate WordPress toolkit for web designers and business owners. We'll install an Elegant Theme of your choice for absolutely nothing! We're local. With WPhost, you have the best support around. Our exclusive focus on WordPress means our team of experts always have your back! No overage charges! No surprises. Join the masses who have already switched to WPhost to take advantage of our managed WordPress hosting plans. Access the ultimate WordPress toolkit for web design professionals and business owners. Sign up for any of our value-packed WordPress hosting plans and we'll install an Elegant Theme of your choice for absolutely nothing! If you're serious about finding the very best managed WordPress hosting for your business or blog then we'd love to hear from you. Contact a WordPress hosting expert today about improving the performance of your website. Looking for more contact details?